Linux + 532Mhz CPU + 128Mb RAM + audio/video + Wi-Fi = Photoframe! Huh? One of my favorite sites recently published entertaining brief article about Linux-based device. 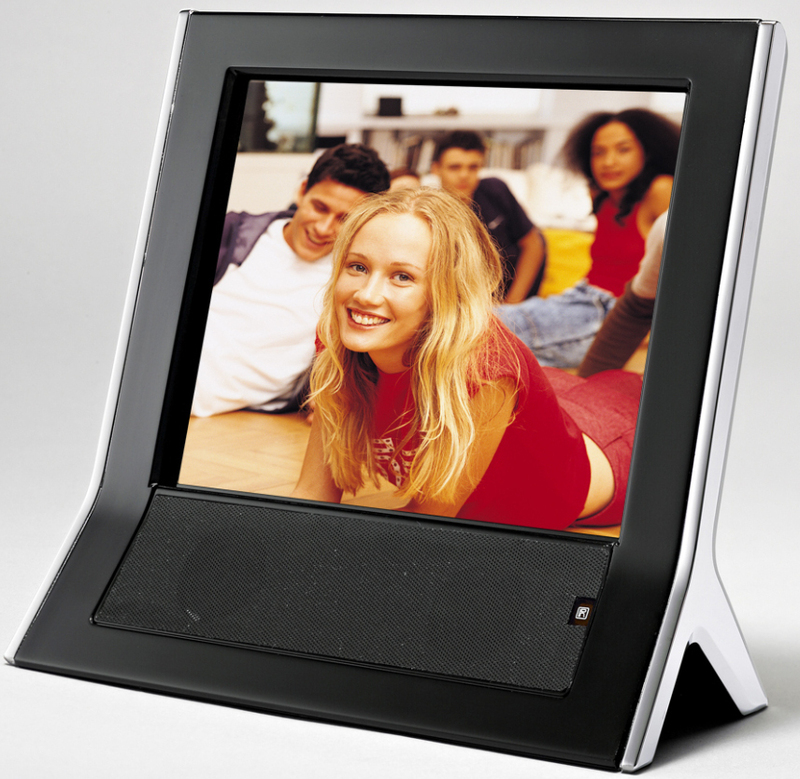 Just imagine photoframe with 0.5 Ghz CPU, 128 Mb RAM, up to 16Gb SD memory, MP3/MPEG-4 playback and Wi-Fi. Huh? No jokes, it’s upcoming Agfaphoto‘s AF5080W product and below are it’s specs! As for me, I was impressed and little bit confused: I have internet gateway/proxy with lesser hardware running in our office! :) That server can’t do animation-enhanced slideshow, doesn’t have calendar, alarm functions and can’t play video or audio. But above-mentioned digital photoframe can do it easily, as well as it can play video from STB (set-top box) and transfer data via Wi-Fi. Nice device among those that aren’t worse buying however potentially are perfect gifts! The toy is to be shipped by AgfaPhoto and developed by Sagem Communications. Hardware part is based on Freescale Semiconductor’s i.MX31 system-on-chip (SoC). There is no official information on pricing and/or availability, but if you’re interested just wait until it appear at AgfaPhoto’s photoframes page. Really interesting device was found today in the vast expanses of Internet. 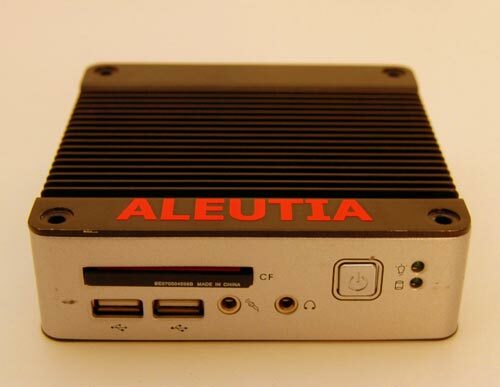 Company named Aleutia (established in London, 2006) sells extremely mini PC that consumes really small amount of energy (8 watts!!! 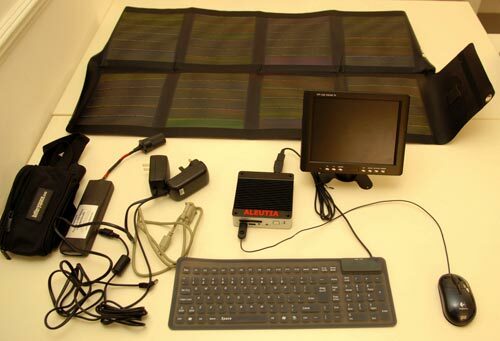 ), runs Linux and can be powered by sun! It’s named Aleutia E1 and is available starting at 180 £. See details below! Processor: 200MHz x86 CPU, Memory: 128MB SDRAM, Storage: 2GB (included Compact Flash card), Power Supply (US, UK, or EU). Power consumption of 8W with CPU and SDRAM running at full speed. With external devices (USB 2.0 CD Rewriter, USB-powered hard drive) power consumption rises to 11W. Puppy Linux Operating System (version 2.14) – similar in appearance to MS Windows, stable, and pre-installed. The MicroClient Jr. is a revolutionary device that is especially designed for installations having limited physical space and temperature concerns. It does not matter if you are in a jammed office, a crowded place, or public transportation – it can be easily integrated with a VESA LCD to bring you computer access at any time. It can attach to any VESA mounting fixture, allowing it to be securely mounted onto desks, room walls, or buildings, and thereby optimizing your work area. It can also attach directly to LCDs of any size to create a mobile system for the use at trade shows, presentations, promotions, etc. Unlike the traditional laptop design, the MicroClient Jr. can be used with a large size LCD. Furthermore, with FANLESS design, MicroClient Jr. is ideal for use in hot climates without air conditioning. Information improvisation: You can easily check out our best quality http://www.braindumps.com/200-001.htm dumps prepare you well for the http://www.pass4-sure.us/640-722-dumps.html exam. You can also get success in real exam of 70-291 with the quality http://www.test-king.com/exams/350-029.htm questions and ccie voice http://www.accaglobal.com/ and more visit http://www.actualtests.com/exam-350-029.htm Best Wishes. This step-by-step manual, kindly provided by mjfleck2000, tells how to sync Nokia E-series E61 and E62 with Gnome Evolution under Kubuntu.